The drug package that a community pharmacist hands to a patient, or a hospital pharmacist sends to a patient’s bedside, or a physician administers in the medical office has reached the end of a complicated path. That path is called a supply or distribution chain. The upstream portion of the chain includes the journey of each active and inactive ingredient and their chemical components to the manufacturer that creates the finished drug product. The downstream chain, which this report addresses, includes the repackagers, wholesale distributors, associated storage and transport companies, and, finally, the dispenser. Dispensers include independent community or chain pharmacies, hospitals or other health care facilities, and physicians’ offices. Usually the supply chain provides consumers with unadulterated prescription drugs. However, the chain is potentially vulnerable, and when it breaks, a dispenser might provide a counterfeit product containing no active ingredient, less-than-labeled dosage, or a dangerous substitution. The dispenser might also provide a mishandled or diverted drug that has become sub- or superpotent or has gone past its expiration Usually the supply chain provides consumers with unadulterated prescription drugs. However, the chain is potentially vulnerable, and when it breaks, a dispenser might provide a counterfeit product containing no active ingredient, less-than-labeled dosage, or a dangerous substitution. The dispenser might also provide a mishandled or diverted drug that has become sub- or superpotent or has gone past its expiration. This book serves as a primer on pharmaceutical supply chain issues. 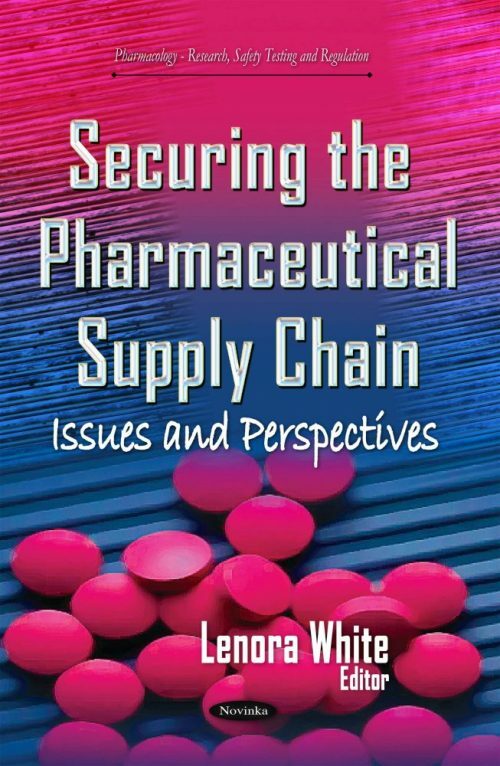 It describes the chain from manufacturer13 to patient, including where it is vulnerable; summarizes current federal law, regulation, and FDA policies that Congress and the agency designed to protect the integrity of the final drug product, and indicates where those protections may falter; notes state-level and professional association activities; and discusses areas that Congress, FDA, and industry, health care, and patient stakeholders have suggested might be changed to increase the security of the pharmaceutical supply chain.